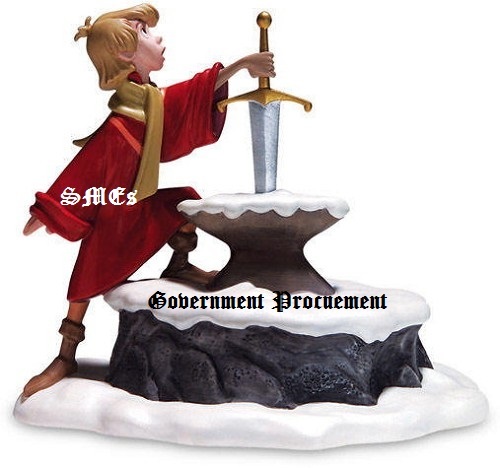 Editor’s Note: In this latest account about the challenges faced by SMEs in terms of doing business with the UK Government – a challenge that is more often than not commensurate with King Arthur extracting the sword from the Stone of Scone – Alun Rafique shares, in both words and pictures, his company’s experience with providing evidence before the Communities and Local Government Committee. For those who weren’t aware, we received a grant from the technology Strategy Board to help develop our tool to assist local councils with adoption of eSourcing and encouraging innovation from local suppliers. We took our innovative design and applied it to the areas of sub-OJEU tenders and in-framework negotiation. We have had much success in helping councils to easily and efficiently save money. However, we have also faced many challenges working with the Public Sector, mainly relating to the inconsistency of tendering approaches and onerous procedures. We thought it wise to engage with the Government and submit a paper to the Communities and Local Government Committee investigating local government procurement. From many papers we were chosen to submit oral evidence at a meeting on the 25th of September 2013. We had a unique view as an SME trying to supply Local Government and also as a supplier of systems that they also use for procurement. You can see the written paper we submitted here. And this is how we took our first foray into politics. It was also our first trip to Westminster Palace. To be honest we felt very honoured to give evidence. It is awe-inspiring to be looking at Westminster and knowing that we had a pass inside, an A4 printout saying “Visitor on Committee business”. We must admit that the feeling of self-importance partially evaporated when we realised that any member of the public can just go in and watch the action. We couldn’t help wonder why so few people did but it was just as well considering the size of the cafe. The walk to the room where the meeting was being held allowed us to pass through the essence of UK politics. Through the cafe (whilst casually passing Lawrence Dallaglio), into Westminster Hall(almost 1000 years old and a witness of many events from coronation banquets to the trial of Guy Fawkes), through St Stephens Hall (a former debating chamber for the House of Commons) and then deciding to take a well earned rest in the Central Lobby which is the heart of the Palace of Westminster. It was a great work up to the main event. To imagine three years ago we were just starting out and looking back we seem to have come so far. I guess for many the trip into Westminster is a daily occurrence but it was nice for us to get our foot in the door. The next stop was the Committee meeting itself. At first we were apprehensive on what to expect. We were asked if we saw the committee with Rupert Murdoch and told it would be quite similar. This brought up memories – would someone throw a foam pieat us? Then we were told probably half the committee members would not be able turn up due to other engagements which put us more at ease. In fact the reality was part way between the two. On the day we had a full house with all the committee members (we would like to think that was down to us!). What surprised us was the professionalism of the organisation and the facilities. You can see from the photos that the layout was as you would see in the news. The room was beautiful with large ornate paintings on the wall, walnut panelling and also someone ensuring that it was all filmed for posterity. This was the fifth session and it was split into two parts. The first was on delivering social value and the second, our session, was on supporting small and micro businesses. Our fellow panel members were Martin McTague, Chairman, Local Government Policy Unit, Federation of Small Businesses and Dr Pedro Telles, University of Bangor. 1. Challenges of SMEs competing for local Government business – The views here between the panellists were very similar with respect to local government procurement procedures being varied and inconsistent. We also highlighted that localism for localism’s sake is not enough and local councils need to examine bringing supply chains into the UK from abroad. 2. Issues with collaboration and frameworks – We all highlighted the potential pitfalls in aggregating requirements but eliminating the ability for an SME to tender. There are also too many portals and frameworks out there for the same capabilities which takes up much time and resource. 3. Local Government procurement skillsets – A mixed response here although it seems that good skills exist already and more guidance is required. 4. Would centralising help – Again a mixed view. It would seem beneficial from a leadership perspective but there is a caveat to ensure that the right measurable objectives are put in place. 5. Are the onerous procedures a result of Local authorities or EU regulations – We strongly feel it is a mixture of the LA’s interpretation of OJEU rules for sub-OJEU tenders. Our overall view is that Local Government procurement need to take a more consistent and less onerous approach. The processes followed should be appropriate to the size of the tenders. Linear and logical scoring mechanisms should be used and Local Authorities should try harder to take account of innovation. Also regional centers of excellence could help with guidance, support, aggregation of requirements and reducing supplier risks as well as helping bring supply chains back to the UK. We felt very pleased to have had the chance to voice our successes and concerns with Local Government procurement and we hope that our support to this committee will only go to strengthen the conclusions that will come out. It was an enjoyable day and we would like to thank all concerned. We must admit that one of the biggest surprises of the day came at the end when we realised we had already been beaten to the punch on twitter by the Government. They are really getting on top of social media at last. We are a dynamic UK company that creates smart procurement applications covering eSourcing, Opportunity Assessment, Innovation & Supplier onBoarding. Find out more at www.marketdojo.com/learn-more or call us on +44 (0) 117 2309200 or email info@marketdojo.com. Technology in the year 2000! Does Lord Sugar need a basic procurement course? Part 1 - The CPO’s first hundred days…. Find us at www.marketdojo.com or call us on +44 (0)117 2309200 or email us at info@marketdojo.com.